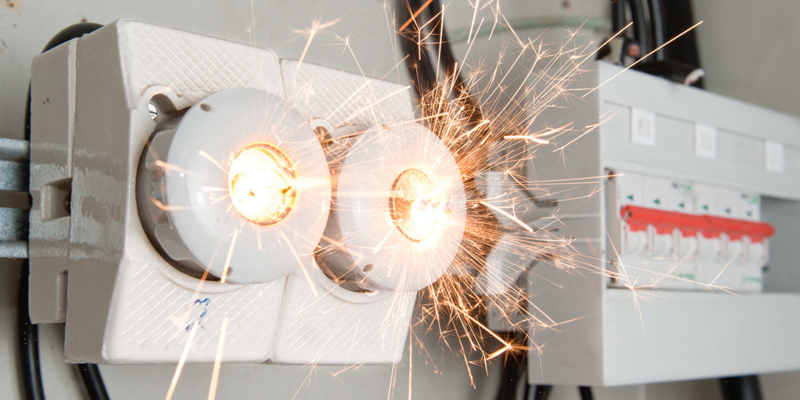 70E is the standard for electrical safety in the workplace. ● Do you know the electrical hazards in your facility? ● Do you know what electrical personal protective equipment is required per OSHA? ● Is your insurance provider requesting a hazard assessment? ● What is Arc Flash and why should you care? 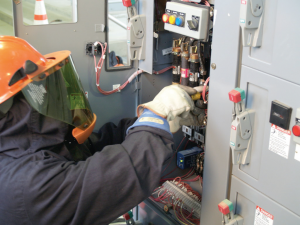 What is Arc Flash and why should you care? Arc Flash is normally the result of a fault between two live electrical conductors resulting in the rapid release of heat energy – similar to the arc obtained during arc welding. During an arc fault the air is the conductor and the release of heat energy can be in the range of 35,000°F – basically an explosion with an associated blast (pressure) wave. Electricity travels at the speed of light, so it is basically an instantaneous event and impossible to avoid by workers that are close to the source. The massive energy discharge can burn metal bus bars, wiring, electrical enclosures, and can be fatal to workers that are in the line of fire. Direct and indirect costs of a major electrical injury estimated at $23 million (13th annual IEEE-IAS Workshop, H. Landis Floyd II, PE). 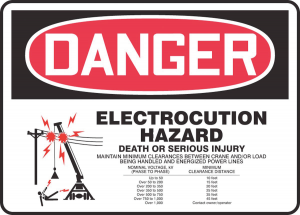 It is essential that you know what the electrical hazards are in your facility and what to do to keep your workers safe, and, be in compliance with OSHA. An Arc Flash Assessment / Analysis (referred to as 70E Study) is a study of your facilities power system to determine the energy that is available at points in the system where workers can be exposed. The output of the analysis is a determination and labeling of PPE requirements. It includes summary reports of energy levels of all equipment, fuse and circuit breaker analysis, single-line drawings of the electrical system, and recommendations as to any needed corrective actions. There are two documents that tell us what we must do to insure worker safety and be in compliance. The first and foremost is OSHA regulations (law) and the second is the National Fire Protection Agency publication 70E “Standard for Electrical Safety in the Workplace” (commonly referred to as NFPA 70E). NFPA 70E is a standard and is referenced in the OSHA regulations. Using NFPA 70E as a guide will insure compliance with OSHA. So what does that have to do with you? Think about it: OSHA regulations are federal law. They tell you what you have to do, but fall short of telling you how to do it. Not necessarily OSHA’s fault; that’s the way regulations have to be written in order to be enforceable. So if OSHA tells you what to do, but not necessarily how to do it, what do you do? 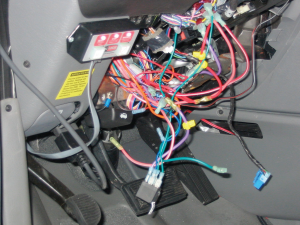 Go to the electrical safety “how-to” book, NFPA 70E. A facility must provide, and be able to demonstrate, a safety program with defined responsibilities. Calculations for the degree of arc flash hazard. Correct personal protective equipment (PPE) for workers. Training for workers on the hazards of arc flash. Appropriate tools for safe working. Warning labels on equipment. Note that the labels are provided by the equipment owners, not the manufacturers. It is expected that the next revision of the National Electric Code (NFPA 70) will require that the labels contain the equipment’s flash protection boundary, its incident energy level, and the required personal protective equipment (PPE). Companies will be cited and fined for not complying with these standards. It is imperative that all workplaces have access to and an understanding of NFPA 70E, and our professionals at CSI are available to help with the training and education of your team. Electrical safety requirements are not easy subjects to understand, however, it is an absolute necessity for proper implementation. The prospect of training a staff of employees, who may work in an environment where they may be unfamiliar with the protocols for electrical safety, can be overwhelming. As an employer, you want your employees to be confident in their knowledge and to have access to the guidelines they need to successfully handle any situation with electrical safety. We are here to provide your organization with the proper training for standardized electrical safety. With the help of CSI, you will gain the assurance that you have given your organization the tools to protect your employees and your company. Whether your organization is industrial in nature or it is a workplace where electrical work is not an obvious task, CSI is available to partner with you!